The Zionist Organization of America (ZOA) has condemned newly-elected Congresswoman-Elect Rashida Tlaib (D–MI) for publicly wrapping herself in the flag of Mahmoud Abbas’ Palestinian Authority (PA) at her election win party last week. The ZOA has also condemned her numerous lies about Israel and her support for its elimination. 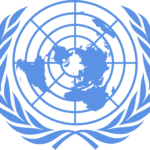 The ZOA believes that it is thoroughly inappropriate for any Member of Congress to wrap themselves in the national flag of a foreign entity, especially at ones election victory party, even one with whom one is associated by birth or ethnicity, and that it is especially wrong and offensive when done in connection with the flag of a terrorism-supporting dictatorship that is hostile to the United States and which has only recently had US aid to it cut on account of its pro-terror, anti-peace acts. Rep.-Elect Tlaib, newly elected to Congress in Michigan as a Democrat, appeared wrapped in the PA flag during her primary victory speech in August as she pledged to “fight back against every racist and oppressive structure” (Astead W. Herndon, ‘Rashida Tlaib, With Primary Win, Is Poised to Become First Muslim Woman in Congress,’ New York Times, August 8, 2018). She repeated appearing wrapped in the PA flag during her victory speech last week. The ZOA also condemned Rep. Tlaib’s record of anti-Semitic extremism, which includes support for “one-state”, that is, the revocation of Israel’s rightful independence and sovereignty and supplanting it by a single state in which Arabs would predominate. Is Cong.-Elect Rashida Tlaib’s loyalty to America or to a terrorist dictatorship which is an enemy of America!? Ms. Tlaib has said, “It has to be one state. Separate but equal does not work. I’m only 42-years old but my teachers were of that generation that marched with Martin Luther King. This whole idea of a two-state solution, it doesn’t work” (Alison Kaplan Sommer, ‘From Two States to One: Michigan’s Rashida Tlaib Shifts Position on Israel,’ Haaretz, August 16, 2018). [ZOA: Martin Luther King was a strong, principled and unambiguous supporter of Zionism and the state of Israel, which he rightly saw as the legitimate expression of the Jewish people’s right to self-determination. Ms. Tlaib, in contrast, insists on the sovereignty and self-determination for Palestinian Arabs she would deny to Jews and desecrates Reverend Dr. King’s name by her shabby, dishonest attempt to associate him with her illiberal, vicious anti Semitic political stance. The ZOA’s 2008 press release on the 40th anniversary of Martin Luther King’s assassination, honoring his support for Israel and Zionism and quoting him at length on these subjects, can be read here]. Called Israel a “racist country” on the basis of the lie that Israel discriminates against those “darker skinned.” She proclaimed the Jewish State of Israel doesn’t observe human rights, does not deserve US aid (Allison Kaplan Sommer, ‘From Two States to One: Michigan’s Rashida Tlaib Shifts Position on Israel,’ Haaretz, August 16, 2018). “Absolutely” backs withholding US aid from Israel (Alison Kaplan Sommer, ‘Palestinian-American Congressional Candidate Called Out Over Pledge to Cut Military Aid to “Discriminatory” Israel,’ Haaretz, August 15, 2018). 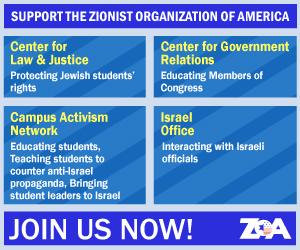 ZOA National President Morton A. Klein said, “We condemn Rashida Tlaib’s wrapping herself in the flag of a hostile, anti-American regime which has shamelessly claimed that it is entitled as of “right” to US aid, recently discontinued, and which has engaged in pro-terror, anti-anti-peace acts like honoring terrorists, naming schools and streets after them, paying salaries to jailed terrorists and stipends for the families of deceased terrorists in proportion to the amount of Jewish blood they have shed. The PA-controlled media mosques, schools and youth camps is suffused with glorification of terrorism and incitement to hatred and murder. “Imagine if a Jewish or indeed any Member of Congress wrapped themselves in the flag of Israel, which of course is America’s strongest ally. It would be regarded as highly unusual and inappropriate, even if the Member of Congress in question had some ethnic or other link to Israel. Here, Rep. Tlaib is wrapping herself in the flag of a hostile, terror-supporting dictatorship that violates human rights by using torture against its dissidents. “The PA, whose flag she wraps herself in, has been responsible for arming terrorists; for terrorism that has claimed the lives of US citizens; has infamously used foreign, including munificent US aid, to arm terrorists; and has raised children in the PA school system to aspire to murdering Jews as a religious and national duty. As a result of these pro-terror, anti-peace actions, the the US has cut funds to the PA and closed the PLO Office in Washington. “The PA has a long, ugly record of human rights abuses, yet Rep. Tlaib supports the PA and condemns Israel on the basis of lies. 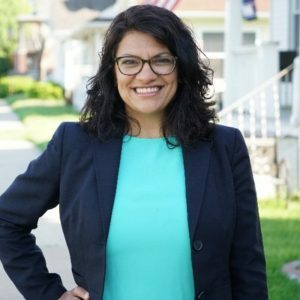 Rep. Tlaib deserves condemnation for associating herself with the PA as well as for her blatant lies defaming Israel, the only state in the region to observe human rights.” The ZOA urges the Ethics Committee in Congress to investigate her actions.